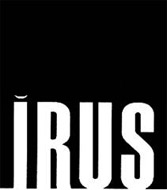 IRUS offers comprehensive solutions through a spectrum of financial services. From growing your wealth through investment strategies, planning for your family’s future, and preparing for your next steps through to retirement, IRUS will chart your path and walk along with you each step of the way. Whether you are experienced in the world of financial matters or are just starting to build your portfolio, IRUS can help you every step of the way. We will always be sitting on your side of the table. Trust and accountability are at the forefront of everything we do. We pride ourselves on the personal relationships we build with each client and our ability to listen and understand the specialized intricacies of not only high net worth individuals and their families, but anyone committed to finding their financial way. We use this approach to establish the most comfortable and appropriate strategies to manage your investments and other personal matters.